An Upheaval – Systematic Disciplined Thinkers Toll The Bell! On the 10th anniversary of the 2008 financial crisis, deep thinkers predict a potential crisis that can lead to social and political upheavals. Monetary policy will be a key factor in determining the timing of a potential crisis. 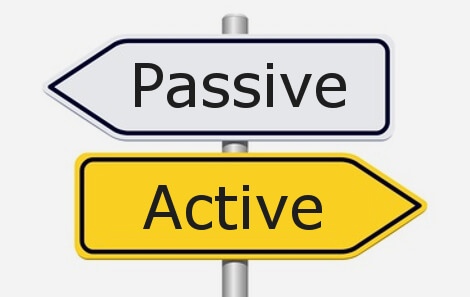 Passive ETF investing and model-driven quantitative investing can amplify sharpness of pullbacks. Insights into the timing of the crisis, and what one can look at to predict its onset. The 10-year anniversary of the last economic crisis appears like an appropriate time to toll the bell on the next economic crisis. 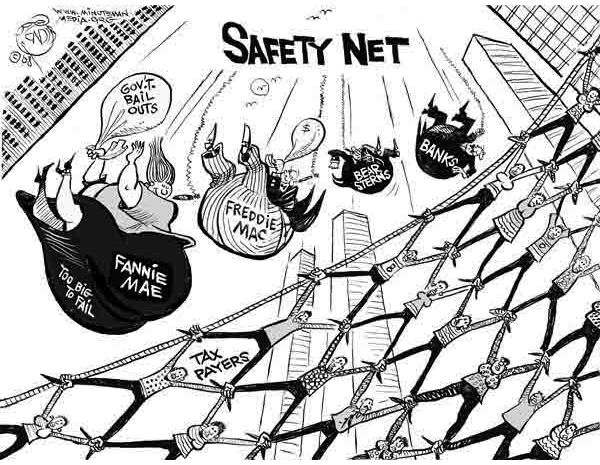 It was this month in 2008, that mainstream America finally came to reckon with the economic meltdown as Lehman Brothers went bankrupt, Merrill Lynch was acquired by Bank of America (BAC), and the government bailed out AIG (AIG), all within a matter of two days. And things went further south over the ensuing months, leading to the Great Recession, the worst economic crisis since the Depression. One of the greatest investors of our times, hedge fund titan Ray Dalio, founder of Bridgewater Associates, the largest hedge fund in the world with over $150 billion in assets, this week released his treatise-like book titled A Template for Understanding Big Debt Crises. As he discussed the last financial crisis as an honored media guest on various shows, what was equally noteworthy was his viewpoint on the next crisis. Now Ray is one person who has been right more often than wrong - after all, you don't get to $150 billion in assets being the other way round. Ray has been an early adopter of algorithmic-driven investing and thinking, of which more can be learned from his TED talk. He is a great practitioner of such systematic thinking that distills down the lessons of his market experience into computer-driven algorithms. He achieves and propagates such thinking through a set of principles and a concept of radical transparency, espoused in his aptly titled book, Principles. So it's always helpful listening to what Ray has to say, even if one holds a different opinion. Incidentally, systematic investing strategies, as many are aware, is the use of a rules-based system and quantitative models to guide investment decisions, and more can be read here. Ray was more circumspect about the economic expansion and stock market prospects this time, compared to his opinion in late January when he noted, "It feels stupid to hold cash in this environment." But this time around, holding some cash is not such a bad idea in Ray's viewpoint. Presently, he still believes the economy is strong, but, using a baseball metaphor, "in the 7th innings," of its expansion with about two years still left to run. Ray suggested investors need to be more defensive than aggressive in investing at this point, as much of the sideline cash has been deployed and the benefit from tax cuts mostly making its way through the economy and the stock market. 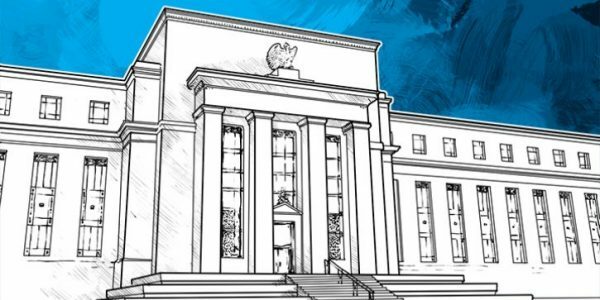 The key factor that will drive the economy and stocks forward, in his opinion, will be the pace of interest rate hikes, and the Federal Reserve should not raise rates beyond market expectations. However, what comes at the end of the expansion, based on Mr. Dalio's prognostication, was a bit alarming. Social and political upheaval, as a result of unfunded obligations (pensions, healthcare, fiscal debt), income inequality, and rising populism. The social upheaval comes from the wealth gap. In this scenario, Ray expects the dollar to depreciate steeply by nearly 30%, and monetary policy tools to be less effective in reversing the slide. As we had noted in our last article, much of the population has simply not participated in the stock market gains as a result of the vicious financial crisis of 2007-08 seared into their memories. There is a whole middle-class of investors that never returned, resulting in a growing concentration of wealth amongst the top households in the country. According to research conducted by Edward Wolff, an economics professor at New York University, the share of the American households investing in the stock market is still well below the levels prevailing before the financial crisis in 2007. At the same time, Wolff estimates, share-ownership concentration has increased with 10% of households owning nearly 90% of the value of shares in 2017, after the strong run-up last year. This concentration is up from 81% in 2007. Such a wealth gap, a whole class of population not feeling the benefits of a robust financial market, will be a contributing factor to the social upheaval that Ray refers to. A video of his interview on CNBC can be viewed here. It was quite interesting to hear Ray's prognostications of social and political upheavals in the next crisis. A few days earlier another systematic thinker, Marko Kolanovic, Global Head of Quantitative and Derivatives Strategy at J.P. Morgan, had something similar to foretell when he characterized the next crisis to be driven by and accompanied with social unrest not seen in the last 50 years. His comments were part of a J. P. Morgan report on the 10th anniversary of the financial crisis, and more can be read in a CNBC excerpt. Marko's contention is that the growing popularity of Passive Investing through ETFs, due to their low cost and comparable post-fee performance to active management, and Quantitative Investing, due to its market success, has created a potential imbalance that can push everyone on the same side of the seesaw in times of a crisis - similar to the in-sync movement of a giant herd. Mechanical computer-driven algorithmic investing can make many of these quant funds be sellers, all at the same time. And since they're rules-based, they can't buy immediately till their recovery rules are met. Furthermore, passive investing doesn't take advantage of declines in valuation. Consequently, as a result of the reduced active management component of the markets, there will be fewer active institutional investors who can buy at the time of crisis and provide a floor and counter-balance to the selling force. This specific scenario doesn't have to play out only in a full-blown crisis. The corrections or pullbacks witnessed over the past two years have been sharper due to a shift towards mechanical trading and passive investing. The pool of ETF assets has climbed to $5 trillion globally, up from $0.8 trillion in 2008, as per the report. It is estimated by JP Morgan that actively managed accounts have shrunk to constitute only about one-third of equity assets under management, while active single-name trading is now responsible for just ~10 percent of daily trading volume. The active-passive debate has been ongoing for a long time. But it needs to be noted that the travails of the active management industry are a reckoning with a straightforward truth - the inability to consistently deliver market returns, after fees, that can meaningfully outpace passive management. It is not because of incompetence, but the nature of the financial markets which are making it harder for most professional investors to outperform indexes, including smart money like hedge funds, as we showed in the last article. Consequently, there is a shift of inflows towards passive management and quantitative investing, for its higher returns. This structural change is the reality of the new investing environment, and the markets will continue to learn and adapt to the effects in the years ahead. A liquidity crisis, as envisioned by Marko, can force the Federal Reserve to step in and be a buyer of last resort - bonds, equities, etc. - or the economy just stops working. He believes the crisis can spiral into social unrest similar to the one witnessed during 1968 at the time of Vietnam war. 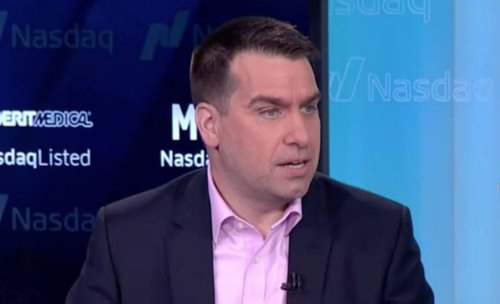 Mr. Kolanovic's timing is in the second-half of 2019 when things can begin to unravel. Ironically, the sharp corrections that Ray and Marko envision may be caused, in some part, by the discipline they pursue - quantitative investing, which is considered to potentially exacerbate declines. It is always good to keep an open mind and be prepared for various outcomes. Two quantitative oriented minds with a highly disciplined approach to thinking about markets are cautioning about a crisis. Pullbacks are hard to call, and because they are becoming sharper, it is hard to react in time. But as long as we continue within a bull market trend, such pullbacks are short-terms dips in a longer uptrend. The more important event to forecast is a change of trend or a bear market. 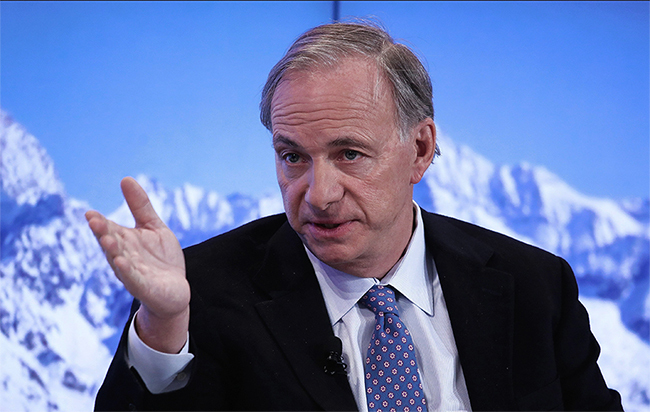 Ray Dalio expects the economy and the stocks to begin unwinding over the next two years. Marko Kolanovic sees a 2019 second-half or later possibility as well. Of course, this scenario is not preordained and one doesn't go from the present state to the crisis in a straight line. A lot can change and the Federal Reserve's interest rate policy, like it is most of the time, will be a key determinant of the nature and depth of the crisis, as pointed out by the two seers as well. Economic outcomes are driven to a significant extent by the Federal Reserve's monetary policy. One of the key early signs of trouble ahead would be a persistently more aggressive monetary policy. Presently, after a rate hike expected next week, there is a growing expectation of one more hike in December. If it occurs, that will not be a market surprise. Thereafter, the expectation at this point is for 3 hikes of a one-quarter point each during 2019. If this interest rate curve steepens materially in 2019, which we would believe to be a deviation of 2 or more interest hikes beyond projection, then the risk of a difficult second-half 2019 begin to mount. Of course, the rate expectation will have to rise if there is a rise in the projected economic growth curve as well. At this point, we anticipate the Federal Reserve to pursue a policy of patience, and various data points suggest Chairperson Jerome Powell being highly supportive of a gradual policy. The success of quantitative investing is real, as was shown in the performance of the Small Cap and Biotech models in our last article. Our quantitative portfolios, the Graycell Small Cap is up +48%, the Prudent Biotech Portfolio is up +76%, for this year, and the S&P 500 Select up +30%. Such rules-based investing has its benefits for individual investors, who can also exit the markets a lot quicker than institutions can unwind their sizable positions. We will have to wait and see how 2019 unfurls. In the meantime, the stock market is providing opportunities for investment gains.